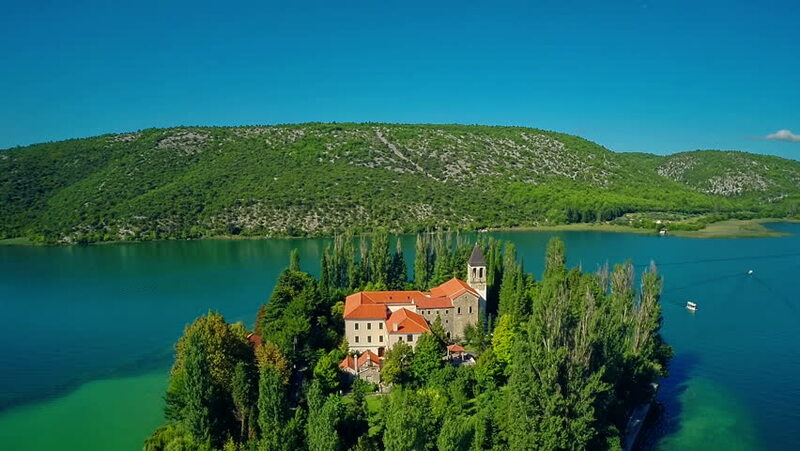 hd00:21Copter aerial view of the tourist boat leaving a small island with a Christian monastery on river Krka Croatia Europe. 4k00:27Slovenia - Aerial view resort Lake Bled. Aerial FPV drone photography. Slovenia Beautiful Nature Castle Bled. hd00:26LAKE SMARTINSKO/CELJE, SLOVENIA - 19. JUNE 2017 The nature surrounding the lake is gorgeous. It's summer time and the water looks peaceful.